The Havant & South Downs College LLDD football team received a cheque at Wave 105’s award ceremony on 30 October. 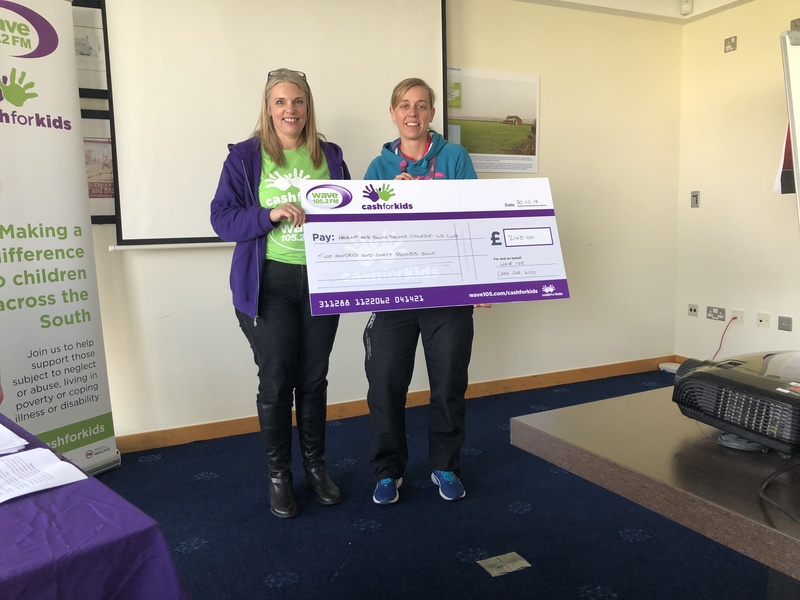 Ten organisations gathered at the Ageas Bowl to find out where they had placed in Wave 105’s Cash for Kids Sports Challenge. The challenge saw the organisations fundraise as much money as possible, with Wave 105 matching the donations pound for pound up to £1,500. Marvels and Meltdowns secured first place, and the charity was awarded a cheque of more than £5,000. Because of its success, the organisation was given an additional £2,000. HSDC was awarded £240 and Sports Maker Kirsty Harley has spoken about the importance of sport at HSDC and where the money raised will go. She said: “HSDC prides itself on the number of sports teams that students have access to. More recently we have been able to offer those students with learning difficulties and/or disabilities a chance to be part of a team. “Through the power of football, we have brought together a number of students who would not have normally engaged with each other or who would not play sport.